Call me today to discuss your needs for quality, corporate entertainment. I will provide you a valuable service if you are a meeting planner, speaker bureau, entertainment talent buyer or agent. You can rely on me to maintain your image for business meetings, retreats, conferences, seminars, holiday parties and banquets. Almost any event where your client is looking for unique comedy entertainment. You can trust me to be a customer service expert. I am a member of the Professional Speaker’s Association. My goal is your goal, the client’s total satisfaction. I know that represent you as your corporate entertainer. I am your product. Customer service is the most important part of your business. I treat your clients with the up-most professionalism. I will go out of my way to insure that your client is happy. I will treat them as my own guests. I will be happy to talk with you about a my program. Call today to find out how I can help you make your client’s events a huge success. 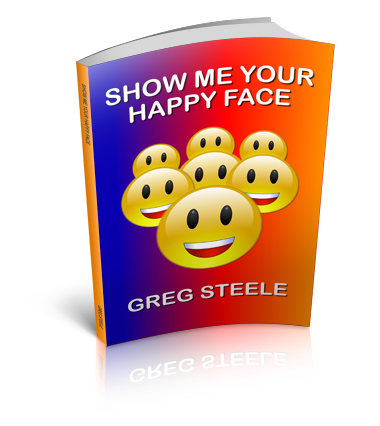 You can rely on Greg Steele for business meetings, retreats, conferences, seminars, holiday parties, banquets and other event when your client is looking for unique comedy hypnosis entertainment. 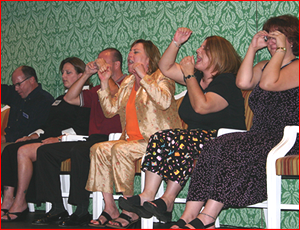 Call the comedy hypnotist today to discuss your needs for quality, corporate entertainment that provides a valuable service if you are a meeting planner, speaker bureau or entertainment talent buyer. You can trust a customer service expert and prospective member of the Professional Speaker’s Association who’s goal is your goal… The client’s total satisfaction! 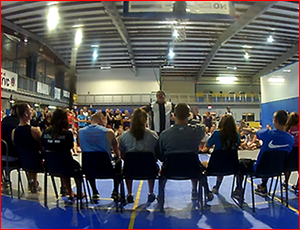 Greg is ready to help you create memories with his comedy hypnotist show. It is a fun interactive program. It is clean and appropriate for your corporate clients. Call today to find out availability for your next bookings! Greg has years of experience and goes the extra mile treating your clients and their guests with the respect they deserve as part of a professional corporate group. He works diligently to provide you with the first class service you can count on.